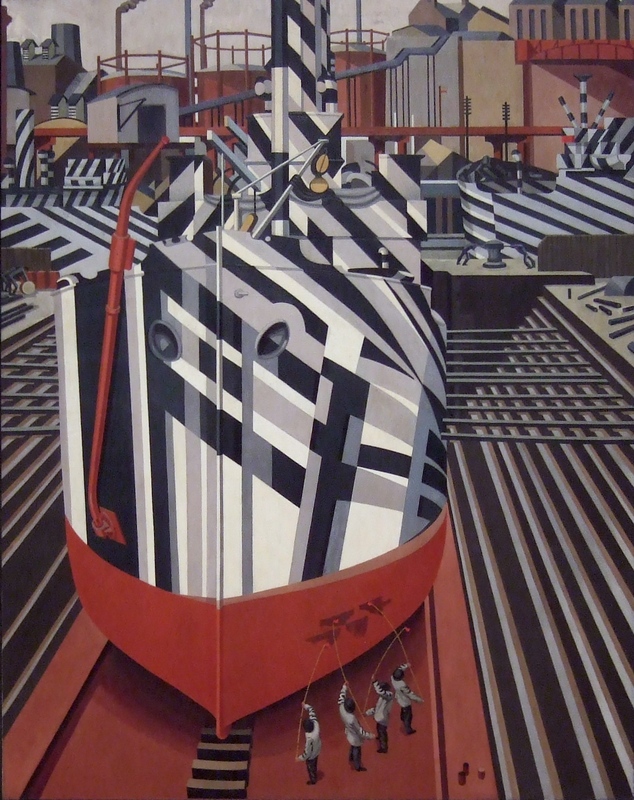 During World War one British and American warships were camouflaged using Dazzle (or Razzle-Dazzle) painting (HERE). One of the people who was most involved was the artist Edward Wadsworth who supervised the painting of over 2,000 ships and later painted both abstract compositions that look a little like a Dazzled ship and also realistic images of some of the ships he had painted. The image below was painted by Wadsworth and shows Dazzle ships in dry-dock in Liverpool 1919.